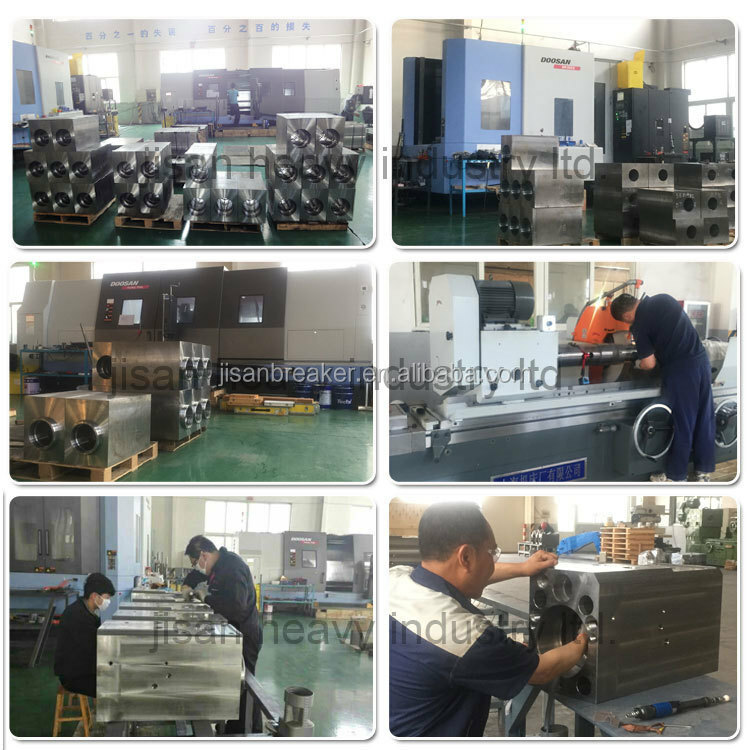 All products are thoroughly tested before shipment, especially for the main body-cylinder. dismantling engineering and special engineering etc. 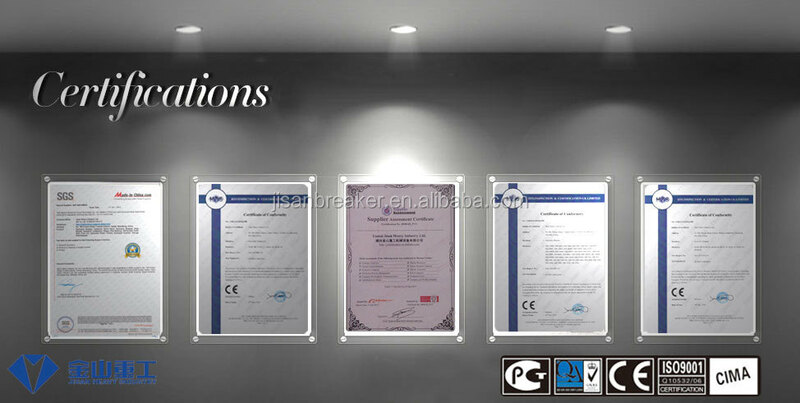 2.The standard free spare parts: two pcs of Chisel, two pcs of oil tube, one pc of Nitrogen Cylinder, a set of repair tools with tool box, a Nitrogen pressure gauge and a pair of gloves. 1. Delivery time: Usually 5-7days (1-5sets) after down payment. 2. 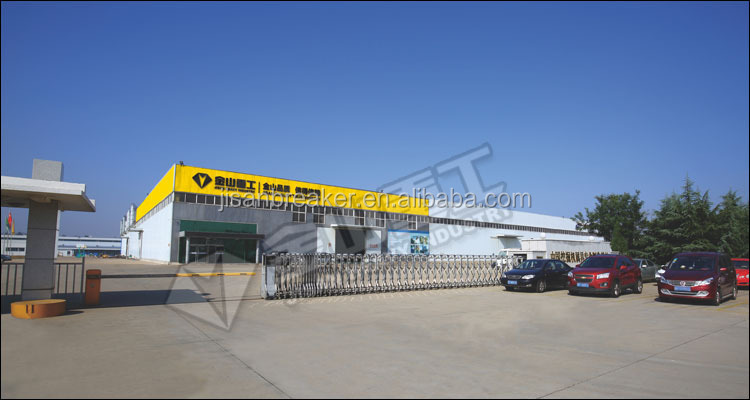 We can arrange ocean or air transportation according to your request from any port of China. 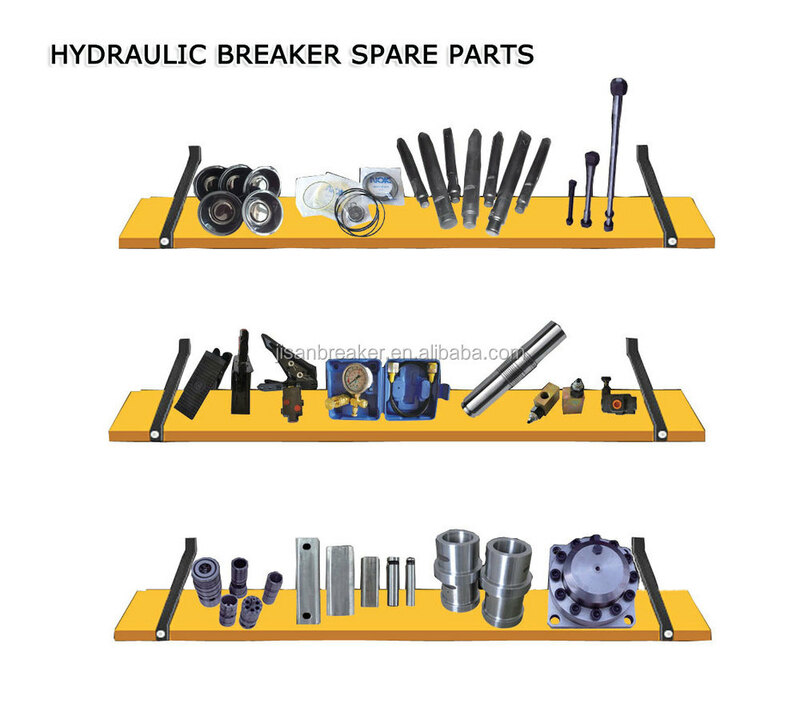 We also wholesale a full range of spare parts including chisel ,ring bush , back head and front head, cylinder, seal kits ,etc. 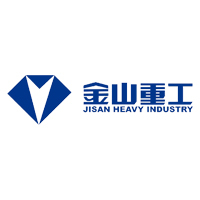 JISAN products passed many certifications, such as GOST R Certification, UKAS Certification, CE Certification, ISO9001 Certification, CIMA qualification etc. 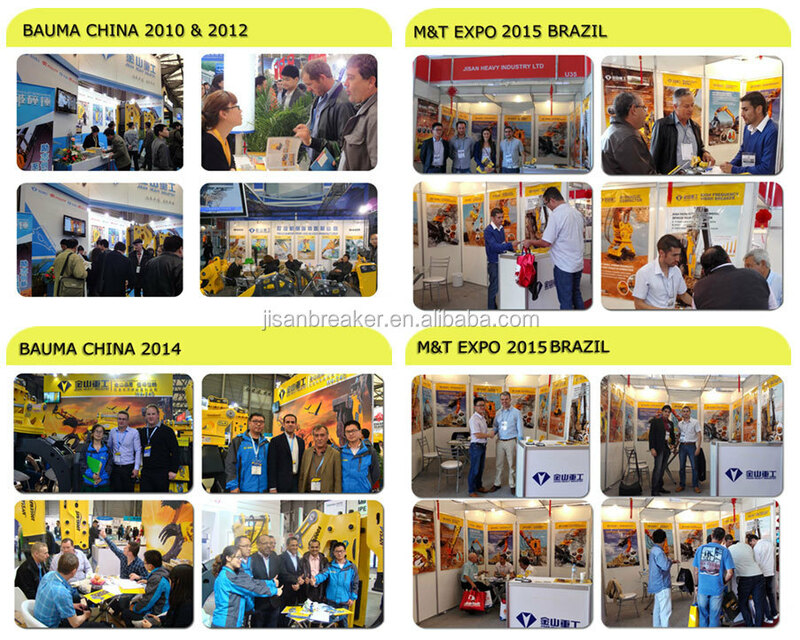 JISAN winned well recognition by clients from different countries on exhibition. 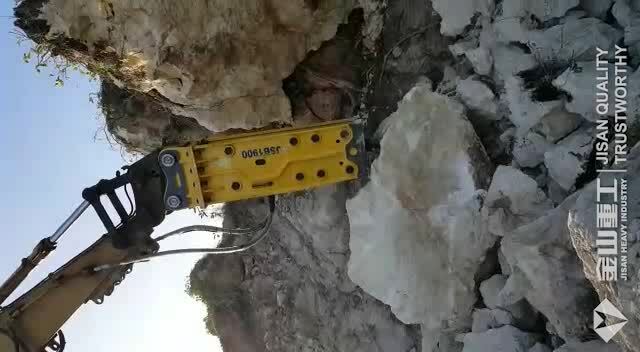 Every hydraulic breaker will do impact test before sale . 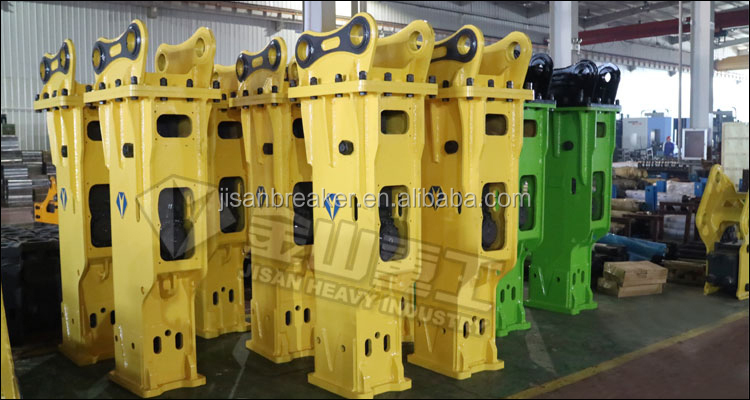 Please tell us your excavator or bachoe loader model,or the hydraulic breaker which you want then I will send you our quotation.